Just beautiful! 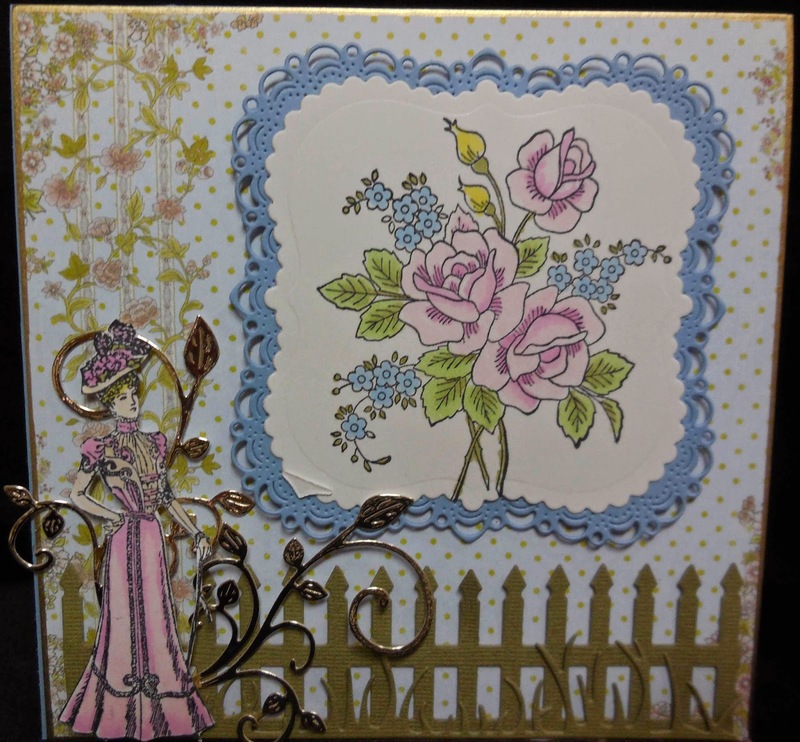 Loving your roses and the gold flourish and Vintage lady. Wonderful take on the Polka Dots too. Awesome design, love the coloring on the flowers and how you added Sarah in the design. Thank you again for being our guest designer this month.